Eleven-year-old Robertlyn Poopeh did not mind her father being handcuffed and escorted to the Monrovia Central Prison on Wednesday for allegedly failing to support her education. Robertlyn, a student of St. Theresa Convent in Monrovia, sued her father for his alleged refusal to provide her basic needs, something she said was unfair to her mother. She filed for the writ of arrest through her mother but took the stand in the judge’s chambers to explain why she sued her father. The minor lamented that she has been out of school due to her father’s refusal to honor his responsibility by paying her tuition. Youku Morris, Robertlyn’s mother said, since 2015 her ex-fiancé has refused to support their child in spite of numerous promises. 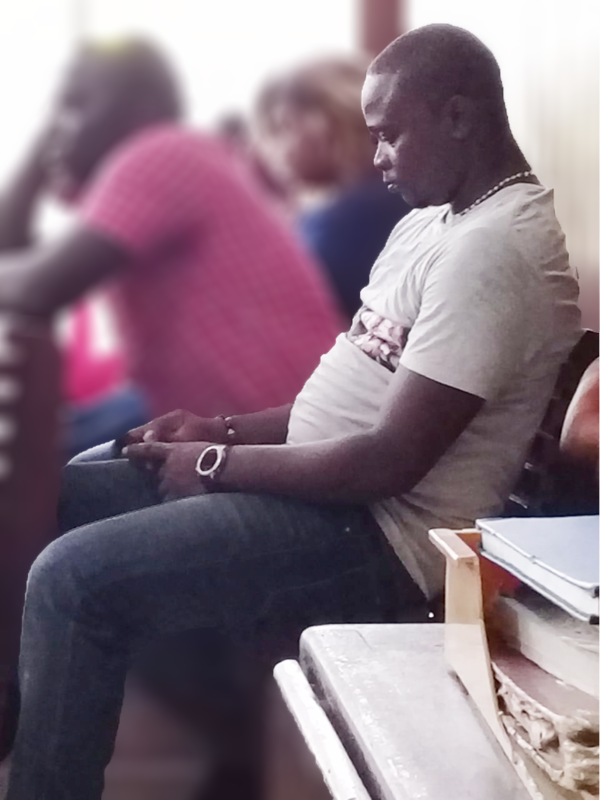 The case is not strange to the Monrovia City Court as the previous judge in 2015 ruled that Poopeh pay L$2000 and a half bag of rice monthly. She said though the court ruled, his refusal to support their daughter led to her complaint against him. Youku told FrontPageAfrica that in 2017 Poopeh came along with family members to beg that the case be taken out of the court for settlement, which she did. Robertlyn, according to her mother, was put out of the campus and she decided to issue the writ on her father unknown to her (Youku). “She did all she could along with the sheriff to arrest her father, according to her, they went to his house over two times and later he was found,” she explained. At the court, Robertlyn said her continuous appearance at the court was to compel them to take her case seriously.